Floatation therapy is a simple, effective way to help your body get to the state of deep relaxation you would experience during a deep meditative state. It’s a great way to relax your body, relax your mind, improve your skin & boost your overall health and wellness. There are SO MANY ways floatation therapy can improve your wellness. But did you know floating can also help you improve your productivity at work AND boost your energy? Most of the time when we are relaxing, our brain isn’t actually taking a break. It doesn’t even really slow down. In floatation tanks however, all external stimuli are removed. So, when you’re floating in the tank, your senses are completely freed from all distractions. Your mind floats in space and endorphin hormones are released to make you feel good which enables your body and mind to reach deep levels of relaxations, which can be better than getting traditional sleep. 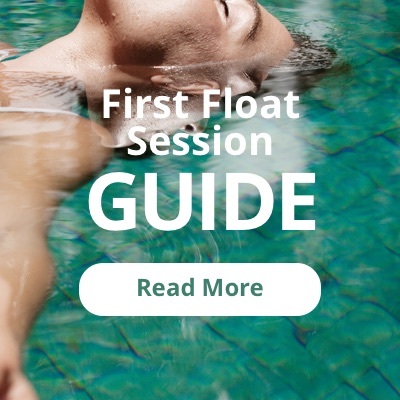 This complete relaxation lets your body’s default-mode take over, recharging both your mind & your body as you float, leaving you better rested & with more energy when you leave the tank. We know that sleep is critical in developing long term memory, but what if you have trouble sleeping? Research has found that floating just 2 hours a week for 2 weeks may improve insomnia symptoms. Even just one floating session can help improve your ability & quality of sleep. Meditation has been proven to help our ability to pay attention without distraction in our daily lives. Imagine how much more productive you could be if you weren’t constantly getting sidetracked by small things! But meditation can be tricky to learn & take a long time to practice successfully. Floating provides an environment free of all external stimuli, and as deeply relaxing as a successful meditative state, without all the trial & error of actually learning to meditate! If you’re an entrepreneur (or just someone looking to improve your hustle) Floatation therapy can be the key to boosting your energy. It’ll help you get focused, make the most of your (minimal) relaxation time, and leave you better charged up to jump back into it!